Export Explore 2017 Cohort, Phoenix, AZ. Building on our efforts through the Global Cities Initiative and in partnership with JPMorgan Chase & Co., Metro Phoenix Export Alliance (MPEXA) is excited to announce the MPEXA Export Explore Program is back for a second year. The program, implemented in 2017, is a tool intended to entice more companies to learn about and grow their export potential. 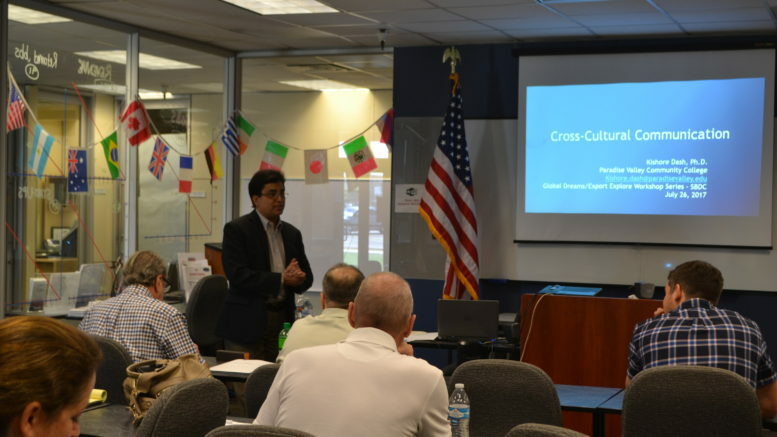 Made possible through a grant provided by JPMorgan Chase & Co. and in partnership with Sun Corridor EDGE and the Arizona District Export Council, small to mid-sized companies in Greater Phoenix can apply to participate in a workshop series to learn from experts about multiple export-related topics. The program concludes with a “pitch competition” in which participating companies can receive additional resources by elaborating their export goals. A judging panel will select up to 8 companies to receive a $4,000 grant award to be used to cover eligible future export related business expenses. The application period is now open until April 29, 2019. Click here for the application. 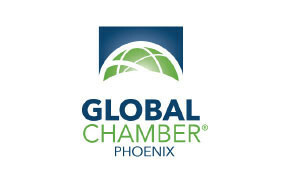 Up to 20 companies will be selected to receive export training and one-on-one consulting services provided in partnership with the Arizona District Export Council. Education: Export Development Workshop Series delivered by export experts covering key areas of export success for small businesses. ½ day per week. 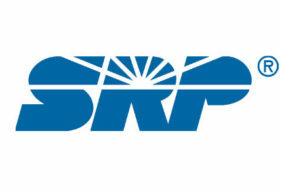 $ 4,000 Grant: Made possible by JPMorgan Chase & Co.
Additional Resources: up to 20 hours of In-Kind Services: services provided by Metro Phoenix leading industry service provider companies in Legal, Shipping, Financial. Must be willing to share results from use of grant funds. Grant funds are eligible to be used for services and activities that will help companies engage in increased exports and expand their international reach. Services and activities that are eligible include, but are not limited to, education, services and travel. Funds are reimbursable and must be utilized within 6 months of award. Education: Grant money can help cover tuition and material costs for international business programs such as Arizona Commerce Authority– ExporTech Program or other proposed educational and training programs. Travel: Grant money can help cover costs associated with trade missions, trade shows, and market intelligence. Additional research support: companies may be matched with Export Explore Graduate Fellows from the Thunderbird School of Global Management, made possible by Sun Corridor EDGE, for six-months in which they conduct research and advise the company as it moves into the next phase of practical export planning and execution.